Local, Simple & Standalone ... Try It To Believe It! Always with the latest Joomla! built-in: Currently Joomla! 3.9.4 and, the currently obsolete, Joomla! 2.5.28. Start developing your new Joomla! Project into your PC safely and without bandwidth limits. Two packs available, powered with MySQL 5.7.25. Try to match your online server to avoid deprecated code issues when moving your work to or from your live server. The latest PhP versions built-in: 7.3.3, 7.2.16, 7.1.27, 7.0.33. Running over UwAMP GUI 3.1.0. Hot switch / swap your running PHP version and customize your PhP settings easily. 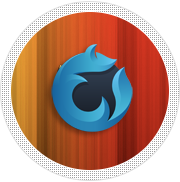 Powered with Firefox Portable 66.0.2 by PortableApps.com. Enhanced with the aclaimed FVD SpeedDial ext. and some of most useful developer add-ons. Your Joomla! Project as far as to one "click" of your mouse. 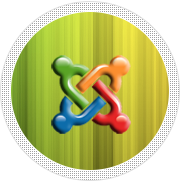 Joomlas2Go! is the step more, that most of we were waiting from long time!. The standalone development environment recommended for beginners and advanced Users but, a must for Joomla! Web Developers & Administrators. Apache [VC15] 2.4.x, MySQL 5.7.x, PHP 7.2.x That's the forhcoming server configuration that meets the latest Ubuntu LTS 18.04+ (Bionic Beaver) with MySQL 5.7 default config. 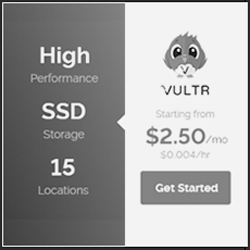 when using CLOUD hosting providers like Vultr, UpCloud, Scaleway, DigitalOcean, Exoscale ... and powering your server with Serverpilot.io as your SaaS Server Management Solution & Hosting Control Panel online. - Choose equivalent [VC15-Win32] VC15.A24.M5725 package that currently offers Apache [VC15] 2.4.39 (2), PhP 7.3.4 & 7.2.16, MySQL 5.7.25 & PhPMyAdmin 4.8.5 and Joomla! 3.9.4 to work offline. 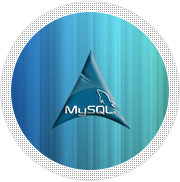 Apache [VC14] 2.4.x, MySQL 5.7.x, PHP 7.1.x That's the newest server configuration that meets the latest Ubuntu LTS 16.04+ (Xenial Xerus) with MySQL 5.7 default config. 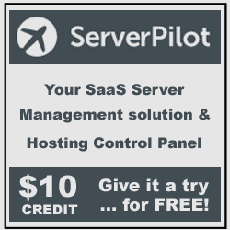 when using CLOUD hosting providers like Vultr, UpCloud, Scaleway, DigitalOcean, Exoscale ... and powering your server with Serverpilot.io as your SaaS Server Management Solution & Hosting Control Panel online. - Choose equivalent [VC14-Win32] VC14.A24.M5725 package that currently offers Apache [VC14] 2.4.39 (1), PhP 7.1.27 & 7.0.33, MySQL 5.7.25 & PhPMyAdmin 4.8.5, Joomla! 3.9.4 and Joomla! 2.5.28 to work offline. Please, visit PhP - Officially supported versions - (PHP - Supported branches) and End of life dates for unsupported PhP branches - (PHP - End-Of-Life) and upgrade your live server accordingly as soon as possible.